I'm elated to report that with the new Iris v1 support, I can again get very fast response times with a combination of v1 buttons and v1 smart plugs. And all just in time as Iris is dropping my devices left and right this morning. Nice work! Any plans/ETA on getting the power reporting to work with the v1 plugs? I had one set up to turn off my coffee maker if left on for >30 mins at greater than some amount of power. Any status on an app? Related to this, I discovered that a company called Bitovi apparently did the app and web-interface for Iris. The app appears to be on GitHub now as well. Personally, I found it to be a pretty nice, user-friendly app, suitable for non-techies ... such as the rest of my family. Google on "bitovi iris" and you should find details. Anyone know anything about re-use of the v1 wireless outdoor cameras? I have 2. Seems like a shame to junk them, but I know they are Wi-Fi. The Iris unofficial portal site mentioned on here was able to actually pull up images from them, so it seems there must have been some knowledge of how they worked. They have an integrated motion sensor as well that could be used in rules, alarm, etc. The camera itself will work but it isn't as easy as plugging in an IP address. I have two V1 indoor cams working by using Motion on my Linux machine. However, that will just work for video. The Motion app does the motion detection and recording and/or taking snapshots. The built-in motion sensor and temperature sensors do not work with Motion. Edit: I don't want to post the full details here as it is quite long. A web search will bring up the information. I could post that in a separate message. I just need to find the web links again. Even if the cameras don't ever link with Hubitat, Motion will let me use them. However, I would like them to connect to Hubitat to be able to use them fully, even if I can't live stream the video. I would want Hubitat to be able to use the motion detector to integrate into zone motion control to reduce incidence of false alarms. I had that happen with Iris when I had it set to use only one sensor to trigger an alarm. Requiring at least two sensors to be triggered to send an alert makes a lot of sense. I just got this working this morning with the sample you sent. The driver for this will be in platform 2.0.9, and it is a standard Zigbee device, not an Iris V1 device. Any status on an app? An app is coming, but it likely won't be what you are wanting. Previous comments said it will do location/presence, notifications, and provide access to dashboards. It does not appear that it will present a new/concise interface to your devices. So get busy making some dashboards. Or share your devices to Google or Alexa. They both have apps. I quite like the Google Home app. If you are referring to the Leak Smart system, yes it does... just installed it yesterday. I have 7 of these cameras and looking for the same thing... I use iSpy to view and record them but would like to be able to integrate them into HB. Transitioned from IRIS this weekend. Still trying to get the hang of things. I only had to create about 25% of the amount of rules in Hubitat that I had in IRIS which shows how powerful Hubitat is. After installing Pushover for notifications, I have close to the same functionality I had with IRIS. So far I am very happy and Hubitat saved me tons of money on not having to replace all my IRIS V1 devices so thank you so much for that. Looking forward to what the future holds for Hubitat. Any help with the below would be greatly appreciated, sorry for the long list. What is the best way to integrate a camera? Any options for camera motion activated rule triggering such as turning on lights or recording video upon alarm activation. I would like to receive a phone call/vociemail for all alarm alerts. Instead of failing to arm if a door is left open, is it possible to have the system arm itself and then notify you for what was left open instead of just failing to arm entirely? Is there a way to have an intrusion alarm automatically cancel itself after say 3 minutes and then re-arm itself to the previous armed state? If someone were to break into my house and damage or steal my Hubitat HUB, would I still be able to access my history to see what happened/when or would I be completely out of luck? Is history backed up in the Hubitat cloud? The history is hard to find specific events unless searching for a state as compared to IRIS. IRIS did not show temperature and battery updates in the history. I am unable to filter events when using the dashboards, so searching events only works when local. When looking at "Show Past Logs" or the "Events" for a specific device, the events are being cluttered up by battery and temperature updates. It would be nice if Hubitat had our logs/events pre-filtered to only show open/close, active/inactive, on/off, etc.... and then if we wanted to see the battery or temperature events we could unfilter those. All in time I hope. Besides using an UPS any other ideas on a good battery backup solution? 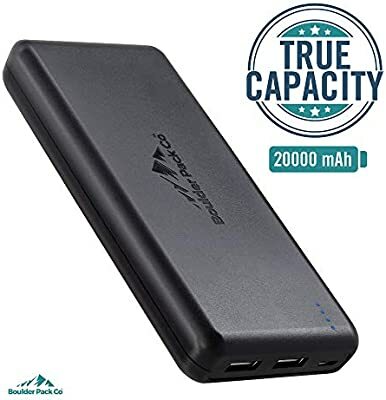 Could I just use a portable power bank? Partial answer to #1: If your camera (or camera system) will accept commands in an HTTP GET format, you can use events in Hubitat to trigger actions on your camera system. I use iSpy and I use Rule Machine to establish rules that cause my cameras to take photos (or film clips) when motion is detected in certain areas or when certain doors/gates are opened. These images are stored on my iSpy server. iSpy supports storing them offsite, for example to Google, which might help you out with #5 since you could have your photographic evidence stored offsite. What cameras (models) do you use with iSpy Eric? Mostly LaView. My first two cameras were D-Link 7010L "bullet" cameras. Fairly good camera for the day but it has a huge problem that, as far as I know, has never been resolved. When the temperature drops below about 20 degrees (F) they shut off. I've updated firmware repeatedly but they never fixed it. I have one LaView LV-CDP6014 (dome) that I got after the experience with the D-Links and it has been great so I bought four more - the model had changed by then so the newer ones are LV-PD5V108 (also dome) but they configure and operate similarly. I have one TrendNet TV-IP7621C in my shop. It was cheap but it keeps working and has pretty good picture quality. Then for non-security cameras (mostly to monitor the grandkids), I have three D-Link DCS-936L cameras. These were the biggest PITA to setup and they occasionally drop out but they were dirt cheap (refurb at about $20 each) and they are small. They work for baby/child monitoring. All these feed into iSpyPro running on my office PC (Win 10 Pro). I really need to put them on a separate PC and something with more horsepower but it all continues to function . . . I'd be careful with this. I got one that was "pass-through", so it charged and provided power at the same time, but there is still a 1s switching time when the device loses power (from pass-through to battery powering the hub), which made it useless as a UPS, but still useful to bring the hub back up and running during a power loss. Interesting.. that is good to know thank you. I have to say that after the learning curve of setting up all of my Iris devices and the HSM, rules, light automation, and dashboards in HE I am OVERJOYED with how well the transition worked out. Yes, it was a pain to learn how to set things up correctly, but afterwards you realize the level of customization possible with HE blows Iris out of the water. At this point I don't see the point of having an app given the way I have my setup so finely tuned to my devices and my security/automation needs. Really really happy.